I spent Saturday afternoon in Ocean City, Maryland with my 2 grandsons. We decided that a beautiful sunny day by the ocean, with them riding all the children’s rides on the boardwalk, was the perfect way to spend the day. Their smiling faces and laughs of delight proved that we made the right decision. The decisions we make every day affect not only us, but those around us. 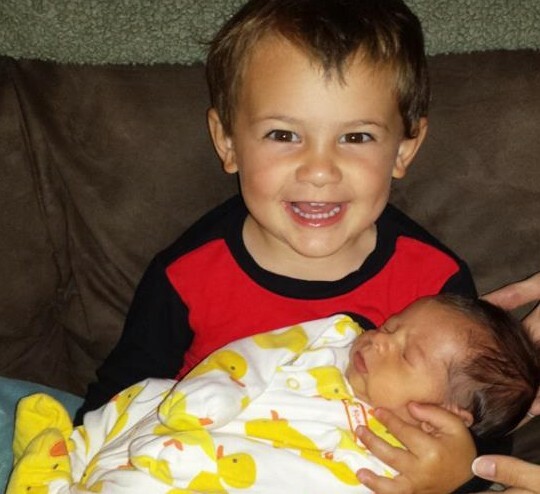 Neither of my grandsons know that thousands of babies are killed every day in America’s abortion mills. They’re surrounded by a loving family and have no concept of being unwanted and killed as a matter of convenience. My grandsons’ world view is a world where every child is safe and happy. It’s all they know and it’s what I want for every child. As I write this on a Monday night, thousands of unborn children are spending their last night alive. They will be killed tomorrow by Planned Parenthood and others for nothing more than money and a callous disregard for their God-given right to life. The decision to end their lives has already been made. Based on recent revelations, many of the children killed tomorrow will suffer the final indignity of having their body parts removed and sold by the same organization that killed them. The people who kill babies for money would have you believe that they are anything but human, until they are born. All the while they market the organs they remove from them as human body parts. They’ve made a conscious decision to participate in the greatest human tragedy in the history of the world. My grandsons deserve to grow up in a world that doesn’t kill its children. During my lifetime, civilization has made many great leaps. We put men on the moon, developed supercomputers, and revolutionized the concept of instant information exchange from anywhere in the world. Ending the killing of our children won’t require a giant leap for mankind. All we have to do is stop killing them. Some decisions are hard. Deciding not to kill innocent children isn’t. In my State of Maryland both my grandsons could have been aborted right up to the moment of their birth. The decision to have them killed never entered their parents’ minds. We welcomed them into the world, just like every child should be. Unlike Planned Parenthood, we consider my grandsons’ body parts to be priceless and the sum of all their parts to be a gift we can’t begin to comprehend. The decision to stop allowing our unborn children to be killed will yield results the moment it is made. It’s the right thing to do and there is no logical reason to allow the killing to go on for one more day.